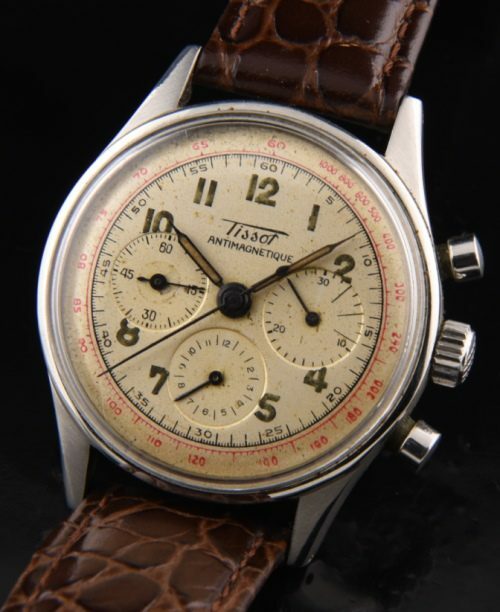 This fine Tissot Antimagnetique chronograph dates to the 1940’s. The manual winding TISSOT caliber 27 movement was cleaned and is accurately keeping time with all chronograph functions working perfectly. The Lemania 27H movement is essentially the same caliber 321 (famous moon watch) movement. Tissot was owned by OMEGA during the production era of this chronograph. The blued steel pencil handset is original. The dial was restored many years ago and has taken on a very attractive patina. The 34.5mm. steel case having round pushers has a signed screw back. This watch retains its original box. 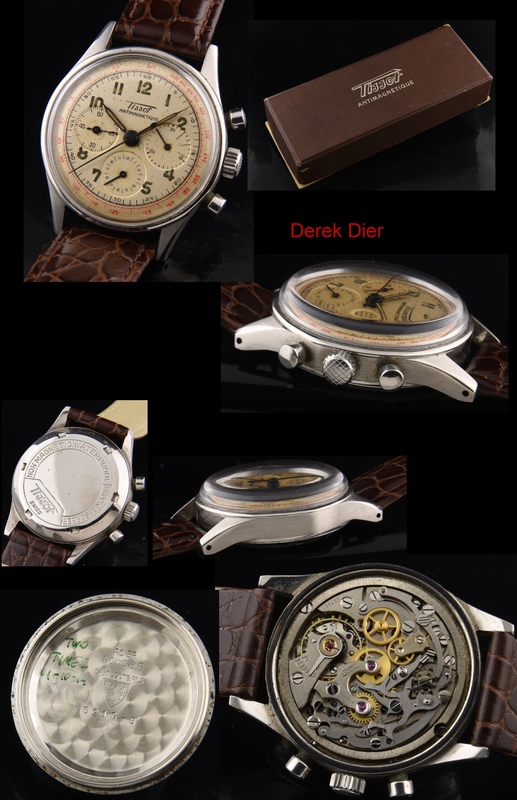 These watches are undervalued in my opinion.